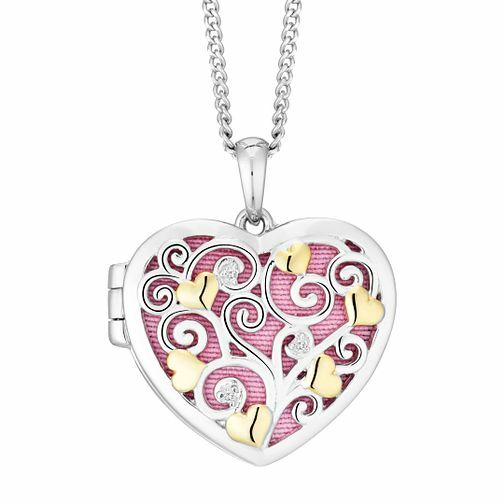 This beautiful heart shaped locket is the perfect keepsake for your valued memento’s. Silver and Gold Plated Cubic Zirconia Cut Out Heart Locket is rated 4.7 out of 5 by 3. Rated 4 out of 5 by Anonymous from Beautiful, small but fragile The product overall looks fantastic and the hinge door opens to a pleasant interior. However, an issue lies with the difficulty opening the hinge and the likelihood of damaging said hinge.